When you give someone a bouquet of red roses, its showing them how much you care. A heart full of love and a red vase overflowing with stunningly red flowers. 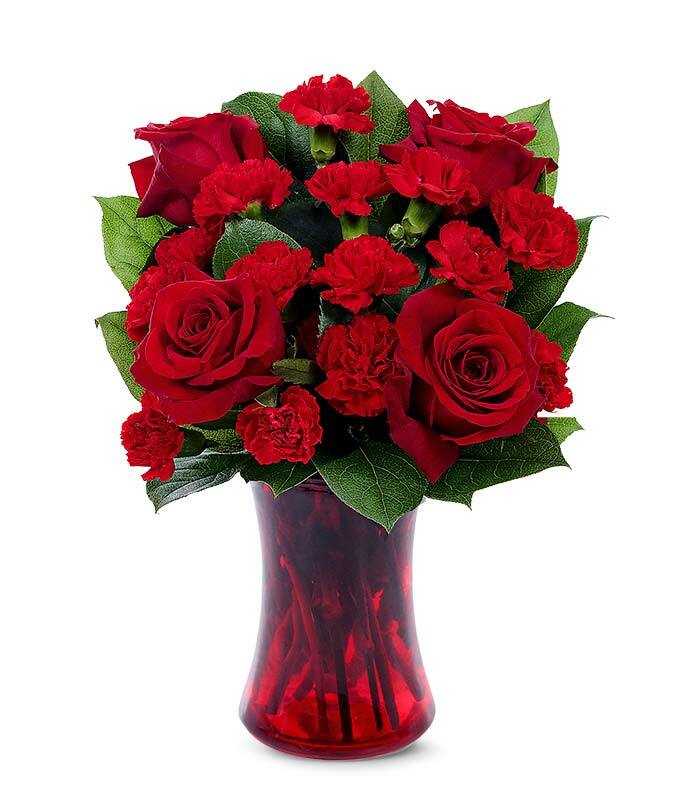 Red roses stand tall, surrounded by carnations that help to send the message that someone cares. Something the recipient can't help but tell people about, this Red Rapture Bouquet will be one anyone would be proud to display.